Otis Adelbert Kline (1891-1946) was born in Chicago. During his adulthood, he led a varied career from vanilla extract salesman, to songwriter, to editor, to popular adventure and science fiction author to literary agent. He was also an amateur orientalist and studied Arabic, an interest that strongly influenced his fictional novels and short stories. 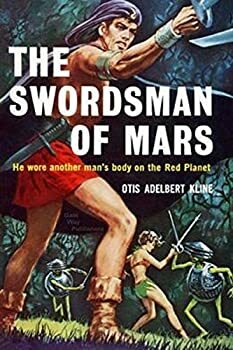 However, his fame is due to the literary “feud” he had with Edgar Rice Burroughs. 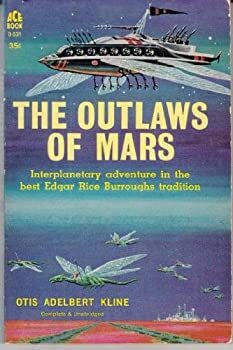 Like Burroughs, he wrote science fiction romance he placed on Venus, Mars and the Moon and had adventures located in the most remote jungle of Earth. After the mid-thirties, Kline almost entirely abandoned writing to focus on his career as an international literary agent. Among others, he represented Robert E. Howard (Conan’s creator) between 1933 and 1936 and, after Howard’s death, he acted as the literary agent of the Howard’s Estate until his own death. He was also the American agent of H.G. Wells. CLICK HERE FOR MORE STORIES BY OTIS ADELBERT KLINE.